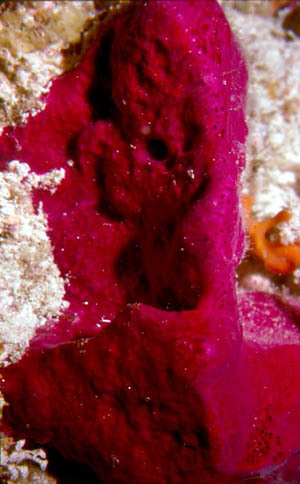 Sponges come in an incredible variety of colors and an amazing array of shapes. They are predominantly marine, with the notable exception of the family Spongillidae, an extant group of fresh-water demosponges whose fossil record begins in the Cretaceous. 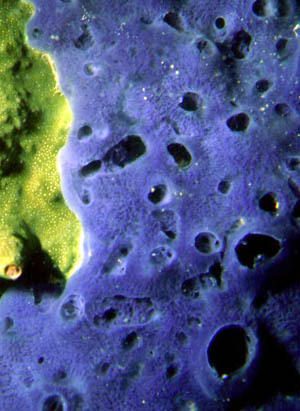 Sponges are ubiquitous benthic creatures, found at all latitudes beneath the world's oceans, and from the intertidal to the deep-sea. Generally, they are sessile, though it has been shown that some are able to move slowly (up to 4 mm per day) within aquaria. It is unknown whether this movement is important for sponge ecology under natural conditions. Some sponges bore into the shells of bivalves, gastropods, and the colonial skeletons of corals by slowly etching away chips of calcareous material. 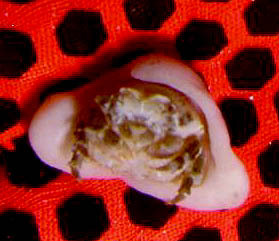 Another interesting thing can happen when a sponge settles on a snail shell that is being used by a hermit crab; an unusual association (described and studied by Floyd Sandford) can be formed. This sponge/crab association results in a sponge that gets around. Imagine your surprise if you were to see a sponge crawl away when you reached out for it! Water flowing through sponges provides food and oxygen, as well as a means for waste removal. This flow is actively generated by the beating of flagella. The water movement through some sponges is aided by ambient currents passing over raised excurrent openings. This moving water creates an area of low pressure above the excurrent openings that assists in drawing water out of the sponge. Sponges are capable of regulating the amount of flow through their bodies by the constriction of various openings. The volume of water passing through a sponge can be enormous, up to 20,000 times its volume in a single 24 hour period. In general, sponges feed by filtering bacteria from the water that passes through them. Some sponges trap roughly 90 percent of all bacteria in the water they filter. 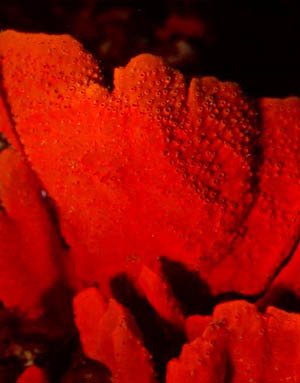 Other sponges, in particular hexactinellids, appear to be less efficient at capturing bacteria and may specialize in feeding on smaller bits of organic matter. 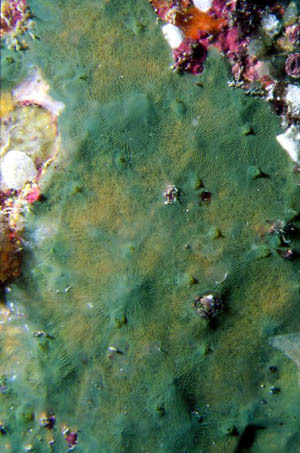 Still other sponges harbor symbionts such as green algae, dinoflagellates, or cyanobacteria, from which they also derive nutrients. Sponges of the family Cladorhizidae are especially unusual in that they typically feed by capturing and digesting whole animals. That's right, these sponges are actually carnivorous! They capture small crustaceans with their spicules which act like Velcro when they come in contact with the crustacean exoskeletons. Cells then migrate around the helpless prey and digestion takes place extracellularly. 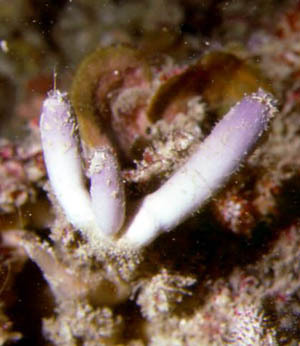 Sponges reproduce by both asexual and sexual means. Most poriferans that reproduce by sexual means are hermaphroditic and produce eggs and sperm at different times. Sperm are frequently "broadcast" into the water column. That is, sperm are created, concentrated and sent out the excurrent openings, sometimes in masses so dense that the sponges appear to be smoking. These sperm are subsequently captured by female sponges of the same species. 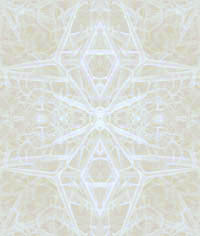 Inside the female, the sperm are transported to eggs by special cells called archaeocytes. Fertilization occurs in the mesenchyme and the zygotes develop into ciliated larvae. 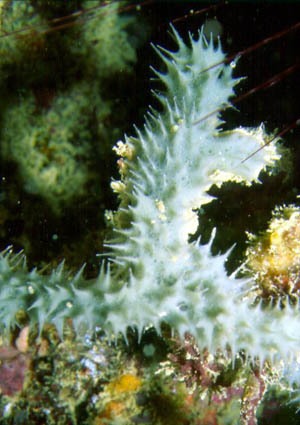 Some sponges release their larvae, where others retain them for some time. Once the larvae are in the water column they settle and develop into juvenile sponges. Sponges that reproduce asexually produce buds or, more often, gemmules, which are packets of several cells of various types inside a protective covering. Fresh water sponges of the Spongillidae often produce gemmules prior to winter. These then develop into adult sponges beginning the following spring. Bond, C. and A. K. Harris. 1988. Locomotion of sponges and its physical mechanism. Journal of Experimental Zoology, 246: 271-284. Vacelet, J. and N. Boury-Esnault. 1996. A new species of carnivorous sponge (Demospongiae; Cladorhizidae) from a Mediterranean cave. Bulletin de l'Institut Royal des Sciences Naturelles de Belgique Biologie, 66(suppl. ): 109-115. Vacelet, J., A. Fiala-Medioni, C. R. Fisher and N. Boury-Esnault. 1996. 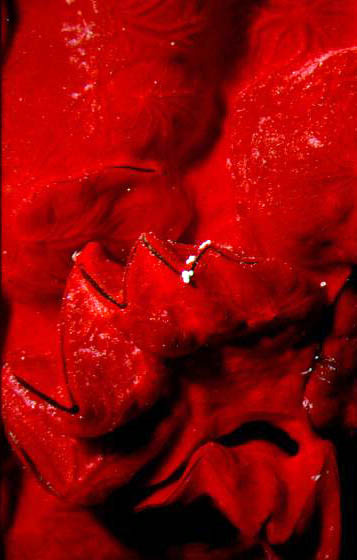 Symbiosis between methane-oxidizing bacteria and a deep-sea carnivorous cladorhizid sponge. Marine Ecology Progress Series, 145(1-3): 77-85.